Kent have signed Afghanistan all-rounder Mohammad Nabi for the first 11 matches of this season's T20 Blast. Nabi, 34, won the Australian Big Bash with Melbourne Renegades this month. 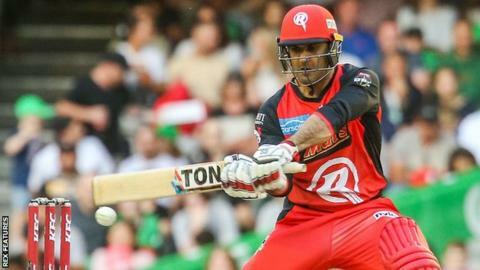 He played for Leicestershire in the T20 Blast last season and hit 86 off 32 balls to help the Foxes beat Lancashire Lightning at Old Trafford. "We are thrilled to have beaten several other counties to sign Nabi for our Vitality Blast campaign," Kent director of cricket Paul Downton said. "He has been an outstanding performer in T20 international cricket as well as the global T20 competitions for a number of years. "He is a proven match-winner capable of taking the game away from teams with both bat and ball, making him an exciting addition to our squad this year."